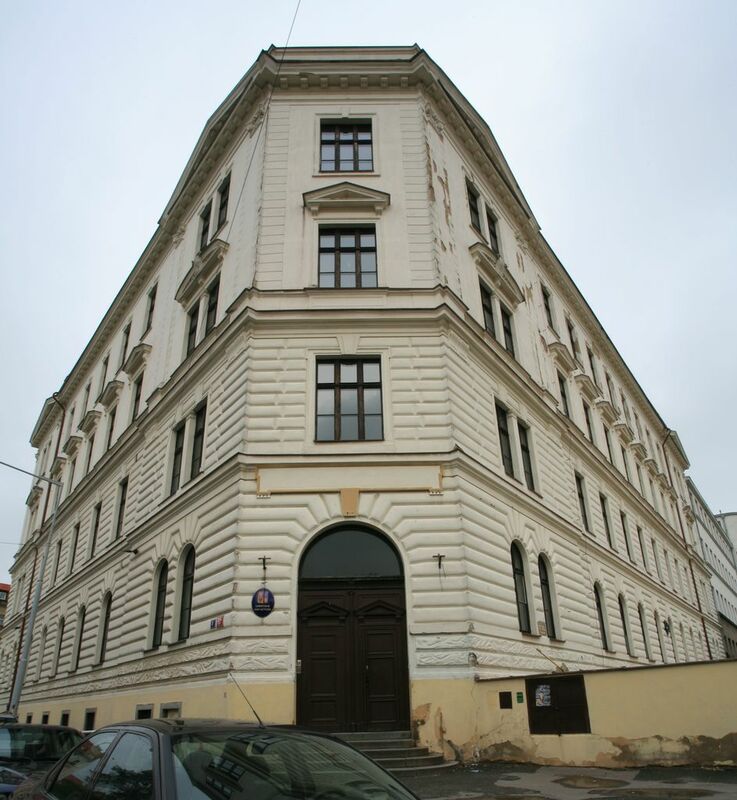 Johannes Kepler Grammar School (Gymnázium Jana Keplera, or GJK) is a leading co-educational school located in the Czech capital of Prague. 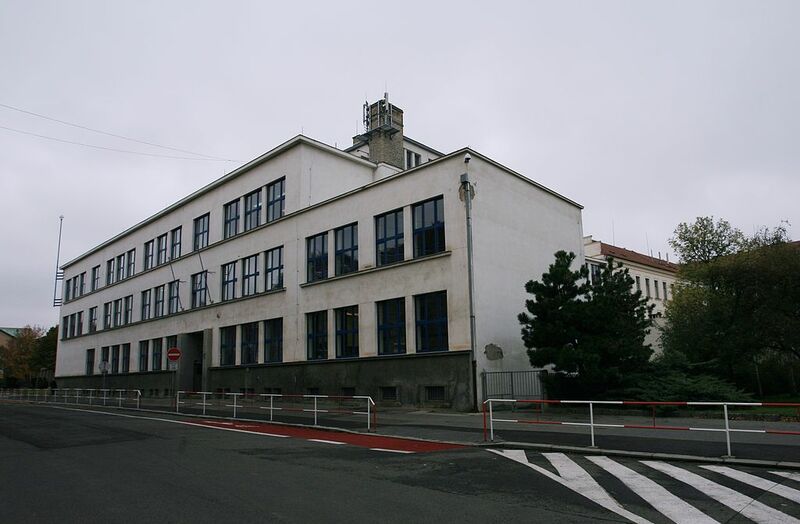 Since the fall of the communist government in 1989 it has achieved a reputation as one of the most outstanding schools not only in Prague but in the entire Czech Republic. The quality and experience of its teaching staff and the wealth of extra curricular activities and social events it offers combine to provide the school’s pupils with a high-quality education in a friendly and stimulating environment. The school offers a full and balanced curriculum – in which key subjects remain compulsory until the penultimate year of study – covering both sciences and humanities and including the study of foreign languages. Besides a general curriculum that provides each pupil with firm foundations for subsequent university study, each individual is also encouraged to focus on and develop his or her specific needs and interests through participation in a variety of optional and elective courses, particularly in the upper years. 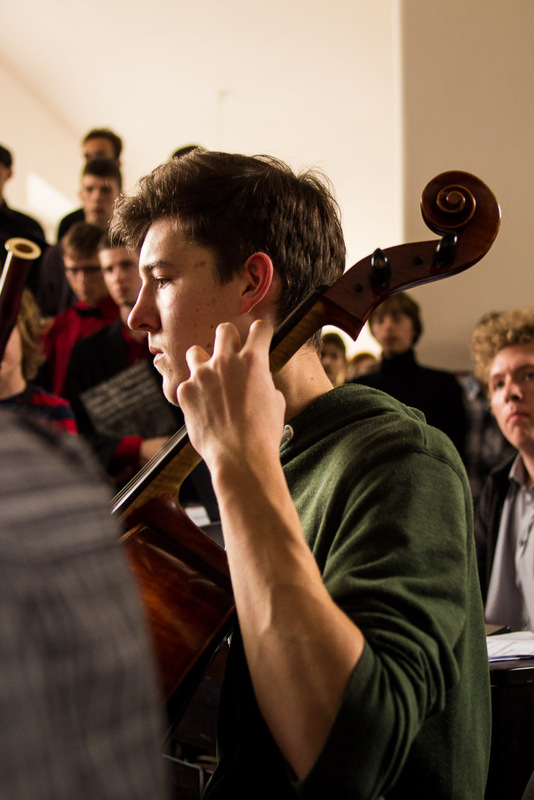 This freedom of choice is one of the many features that distinguish us from other Czech schools. Another is its exceptionally generous teacher-student ratio, with around sixty members of pedagogical staff and from ten to fifteeen external teachers for special seminars to nearly six hundred pupils. In each academic year the school opens one class on the eight-year programme (where pupils begin at the age of eleven after just five years of attendance at primary school) and three classes on the four-year programme (for fifteen-year-old entrants who have completed a full nine years at primary school). Hence there is a total number of twenty classes at the school at any one time: four classes in the lower age groups and sixteen in the upper years (or, alternatively, eight on the eight-year programme and twelve on the four-year). 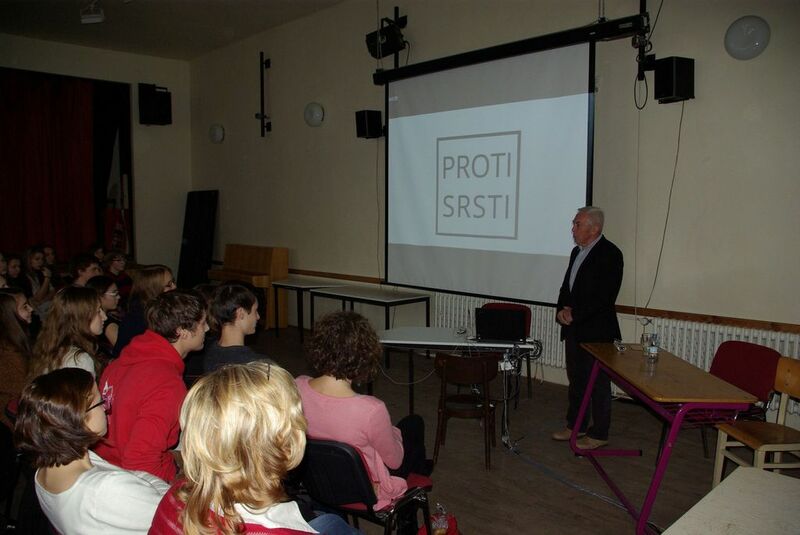 The maturita is the school-leaving examination taken in various subjects by final-year students at secondary schools throughout the Czech Republic and is considered, in most subjects, to be approximately equivalent to the IB (International Baccalaureate) and/British A-Levels. Students spend the greater part of their last (thirteenth) year at school preparing for these examinations, during which period a reduced number of compulsory timetable subjects (Czech language and literature, mathematics, foreign languages and physical education) is attended in parallel with chosen specialist courses and seminars in which students further develop the knowledge and skills required for their chosen maturita subjects and/or for university admission. In 2011 the long-awaited new maturita system was introduced. In previous years students were obliged to sit four exams under the administration of their particular school. As of the 2010/2011 school year, however, they are now required to opt for two or more subjects (of which one must be Czech language and literature) for state-administered examination as well as three subjects for school-administered examination. The primary difference between the Common (state administered) and Profile (school-administered) examination types is that the former takes the form of a written test which is submitted to a state-run agency for marking and evaluation, whilst evaluation of the latter is carried out at the school itself in accordance with strict, state-given rules. Students with musical talent may join any of three ensembles. Most members of the Vocalissimo choir and Johnny Capler Orchestra are current pupils of the school, whilst the Harmcore Jazzband – whose activities included a tour to New York in 2010 – has at its heart a number of musically experienced past students who are joined by other talented young musicians from among the school’s current pupils. Those interested in finding out more about Harmcore may like to have a look at the band’s official website (English version). The school organizes a variety of activities designed to support and encourage team spirit among pupils. Each year new-intake pupils participate in an ongoing school project entitled ‘GO’, a field trip on which they become better acquainted with each other as well as with their teachers whilst developing a greater awareness of their own skills and potential. By participating in adventure games and rising to various physical challenges they strengthen their individual empathy and teamwork skills. Later, in the fourth year of the eight-year programme, a similar field trip known as ‘Winter GO’ gives them the chance to further enhance these skills as they mature by facing a series of new and even more demanding challenges together in the beautiful and remote setting of the Giant Mountains (Krkonoše). To mark the occasion of the International Students’ Day (17th November) each year, the pupils themselves organize Symposion, an event to which they invite distinguished guests from the fields of Czech scholarship, science, politics and culture to give lectures and lead discussions on topics united by a common theme chosen for that particular year. Open to everyone at the school, this event also incorporates drama performances, concerts and art workshops. Guests in past years have included Professor Martin Hilsky, the foremost Czech translator of the works of William Shakespeare; Professor Tomas Halik, renowned priest, and psychologist and sociologist of religion; Professor Eva Hajicova, pioneer in computer linguistics; and Docent (Associate Professor) Ivan M. Havel, the chief representative of cognitive studies in the Czech Republic. Compulsory physical education encompasses gymnastics, team games and such additional activities as running to the top of the park-covered Petrin Hill to enjoy the views of the city below; swimming at the nearby Petynka pool; and ice-skating in season. Facilities include a sports ground and three indoor gyms. 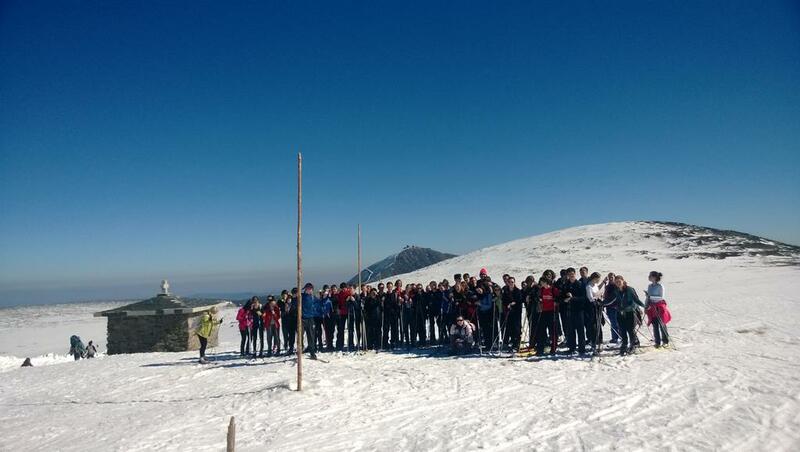 Besides these timetabled sports activities, in their first year the vast majority of students attend a one-week winter sports course; in the second year they take part in a one-week field trip combining winter sports with language studies; and in the third they choose from a selection of specialized one-week courses, with options in recent years ranging from cycling to windsurfing and mountain hiking. The school hall (aula) provides the perfect environment for various drama activities, where in recent years stage performances have been given by a school drama club led by former students as well as by various other groups. The school also organizes two or three drama and poetry competitions each year, one of which consists entirely of foreign-language performances. 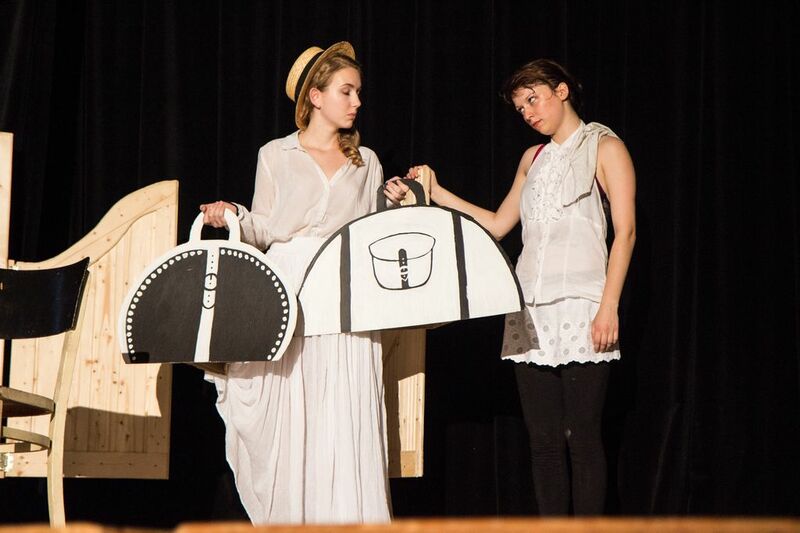 Drama performance and the preparation of entries for competitions also constitute an important element in the teaching of Czech language and literature at the school. The school is housed within a single building comprising three parts. The north building is the oldest. Each of its three floors houses three large classrooms for thirty students. There are also two language classrooms and the school hall known as the ‘aula’ on the first floor; a large physics laboratory on the second floor; and two computer labs, for at least forty-five students, on the third floor. The students’ entrance is situated in the north-west corner of this building, and each student is allocated a spacious locker for books, shoes, coats etc. The small gym and a climbing wall are also housed on a the ground floor. The second section, a listed building in the Functionalist style, was built alongside the older premises in 1932, and the two buildings were later joined to one another at all floor levels. There is a total of eleven large classrooms here on three floors, together with two specially equipped language classrooms, special classroom for Humanities and Geography, the staff room and a large number of studies for the use of teachers as well as our library. Biology and chemistry laboratories and an auditorium for the teaching of those subjects are situated on the third floor, and art and music studios are located on the fourth. The school’s main entrance is located on the southern side of this building, and its left wing houses the original main gym. The school canteen is accessible via the staircase and the side entrance. Excavation work carried out during the recent construction of an annex for this area revealed remains of the Prague home of 16th century Danish astronomer Tycho Brahe. The last major addition to the school premises is the new gym constructed in 2009. It incorporates a modern sports ground ideally suited for basketball and a terrace that can be reached via the school library. The school canteen is run by the catering company Scolarest. On a given day students can choose from a selection of three different set meals, or they can opt for lighter snacks and meals ranging from sandwiches and pastries to salads and grills. Students can pay either in cash or using a prepaid lunch card. The canteen can seat up to approximately 100 people. There are twenty large classrooms, each for thirty students. In its first year each class is allocated a room which it then occupies for its entire time at GJK. The class has a significant portion of its lessons in this room and is also spending breaks and free periods there. The class makes its own decisions on how the room is to be decorated and personalized, and the school often provides financial assistance. In this way each classroom is unique: in the colour of its walls, in its additional items of furniture (such as sofas and tables at the back of the room, behind the desks) and in the special artifacts of personal significance (ranging from photographs to disused bicycles) displayed on the classroom walls. The school houses its own library, which is open to students and teaching staff every school day. Its collections comprise almost 17,000 volumes of classical literature and textbooks as well as recent scholarly writings, and they are updated regularly. The library aims to provide both students and teachers with the vast majority of materials that they require in lessons and for private study. Since 2009 the library has been joined to the large terrace that rests on top of the new gym. This unique space underlines the significance of the library as being central to intellectual life at the school and is widely used for reading, discussion and lessons in the summer months. The school is located on the very edge of the historic district of Hradcany, views of which can be enjoyed from the school’s own windows. Prague Castle, the Loretto, the Strahov Monastery and Nerudova Street are just a five-minute walk away, whilst the green expanse of Petrin Hill, just around the corner, provides space for sporting opportunities and even open-air teaching in summer. In addition, a park whose bounds are defined by the remains of the city’s old Baroque ramparts, directly adjacent to the school’s old building, serves both as a calm place where pupils may rest after or between lessons and as a venue for some of the school’s cultural events. The school is easily accessible by public transport, with two tram routes connecting it to Hradcanska metro station and also the Lesser Town (Malostranska metro station) as well as to the city’s historical centre and New Town district across the river. Visitors arriving by tram are welcomed by statues of Tycho Brahe and of the school’s patron, Johannes Kepler.